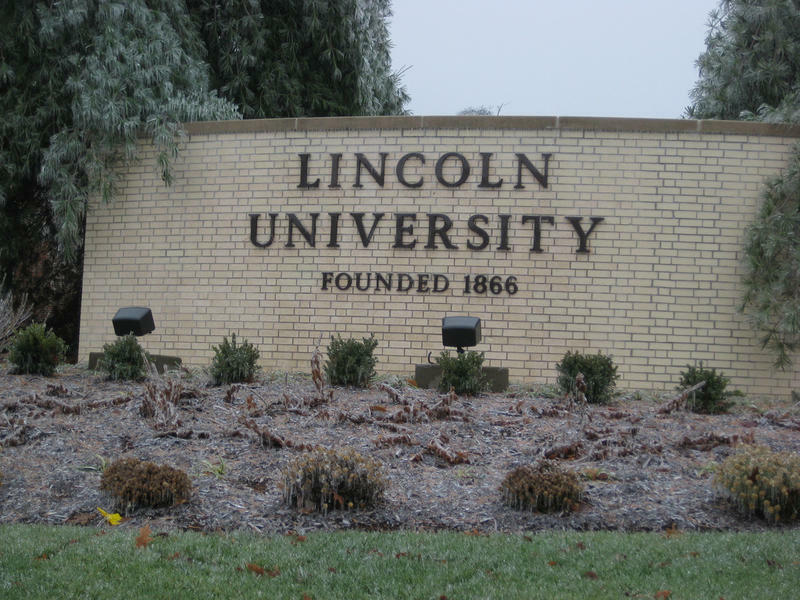 Lincoln University in Jefferson City is receiving two grants totaling over $500, 000 from the United States Department of Agriculture. 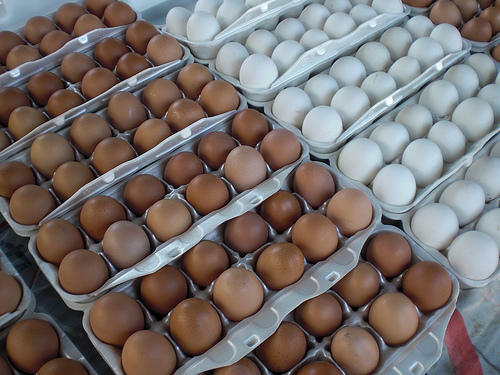 The U.S. Department of Agriculture will soon allow pasteurized egg imports from the Netherlands because of dwindling supplies and higher prices caused by the huge bird flu outbreak in the Midwest. The trade decision on Monday reflects the ongoing emergency measures taken in light of the largest-ever outbreak of avian flu in the U.S. So far, the virulent strain of H5N2 has been detected at 201 farms in 15 states, triggering the destruction of 44.7 million chickens and turkeys, according to the USDA. After years of negotiations, a dozen countries – from New Zealand up to Canada –are on the verge of a trade agreement that could be worth billions of dollars to the U.S. agriculture industry. Many American farmers and ranchers are eager to see the expected benefits of the Trans-Pacific Partnership, or TPP. 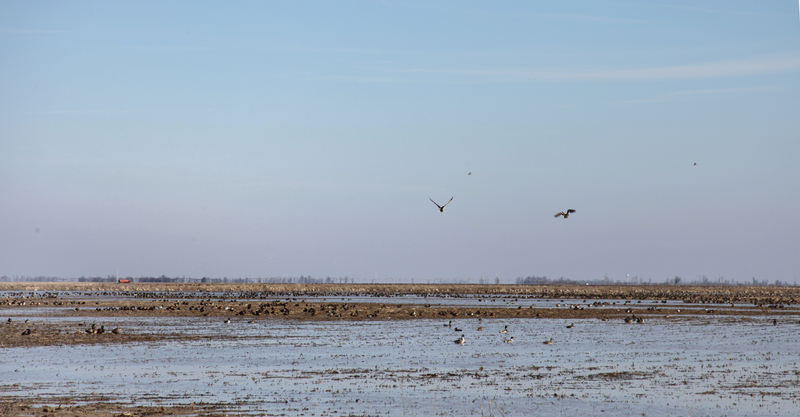 A free trade agreement across the Pacific Ocean could open up markets and raise prices for him as well as other rice producers, said Chuck Earnest, a rice farmer in southeast Missouri. American taxpayers spend billions of dollars on agriculture programs to support the nation's farmers. 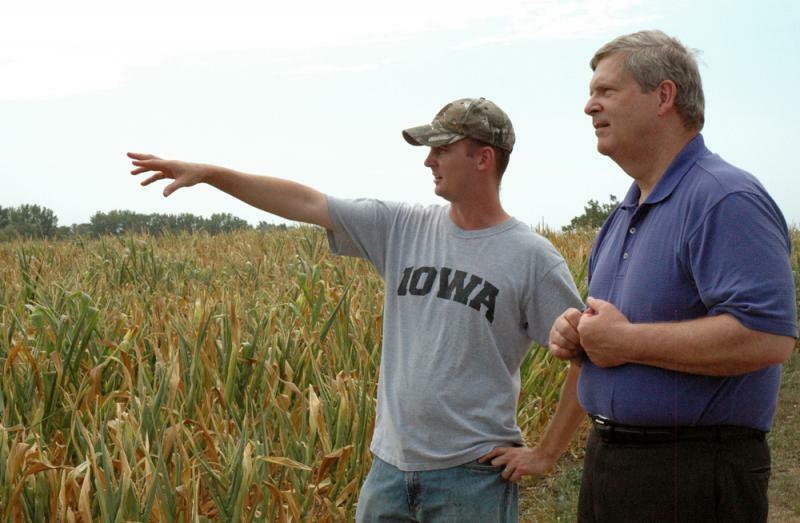 Right now, across the Corn Belt, farmers are choosing their safety nets. As Harvest Public Media's Amy Mayer reports, their decisions over the next few weeks will have a huge influence on the total cost of the government programs. Recognizing that the demand for local food is growing to between $5 and 7 billion a year, the U.S. Department of Agriculture announced a new effort Thursday aimed at connecting farmers with urban shoppers. 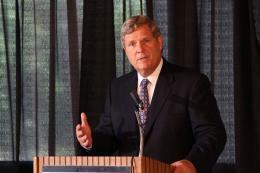 Agriculture Secretary Tom Vilsack announced Wednesday new grants totaling more than $35 million to support research, teaching and Extension activities at 1890 Historically Black Land-Grant Colleges and Universities. 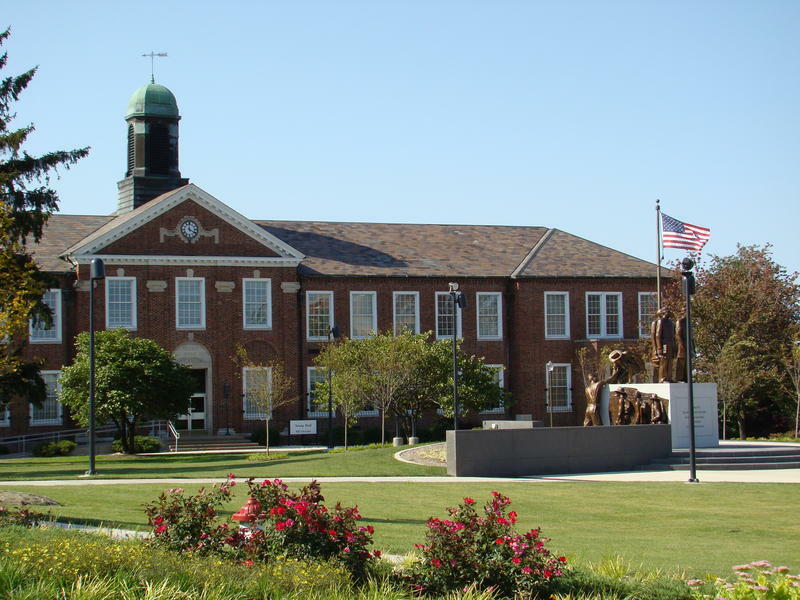 The grant comes from the U.S Department of Agriculture's National Institute of Food and Agriculture. Ohio House Representative Marcia Fudge brought up the program with the Department of Agriculture. Photo courtesy of Tim Reinbott. 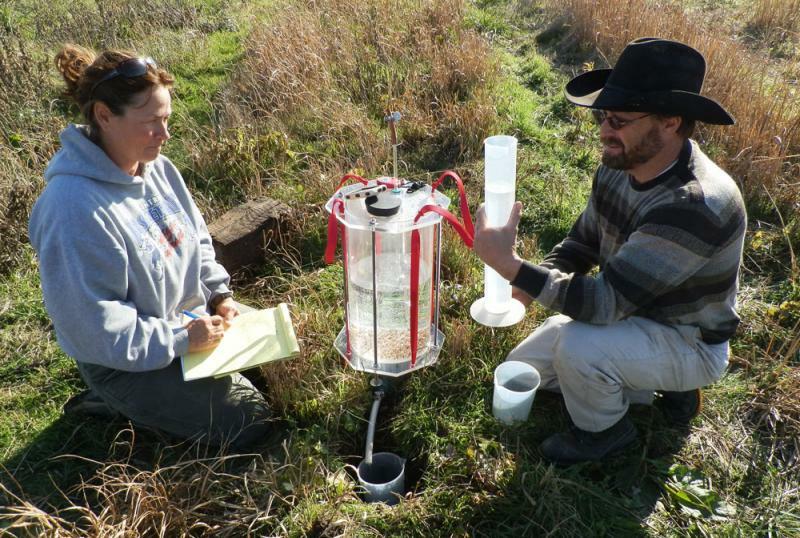 On Thursday, the U.S. Department of Agriculture will announce that it will fund a University of Missouri project focused on building drought resiliency through soil health. 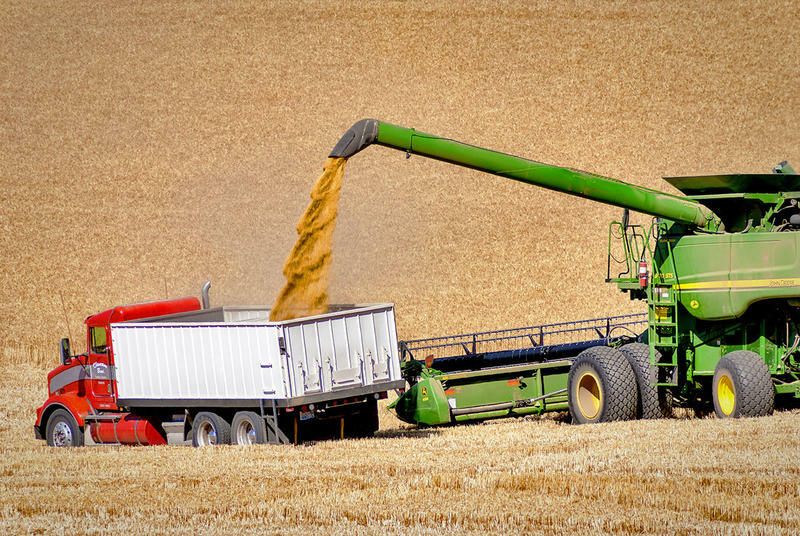 The U.S. Department of Agriculture's National Agricultural Statistics Service released its end-of-year Crop Production 2012 Annual Summary Friday. 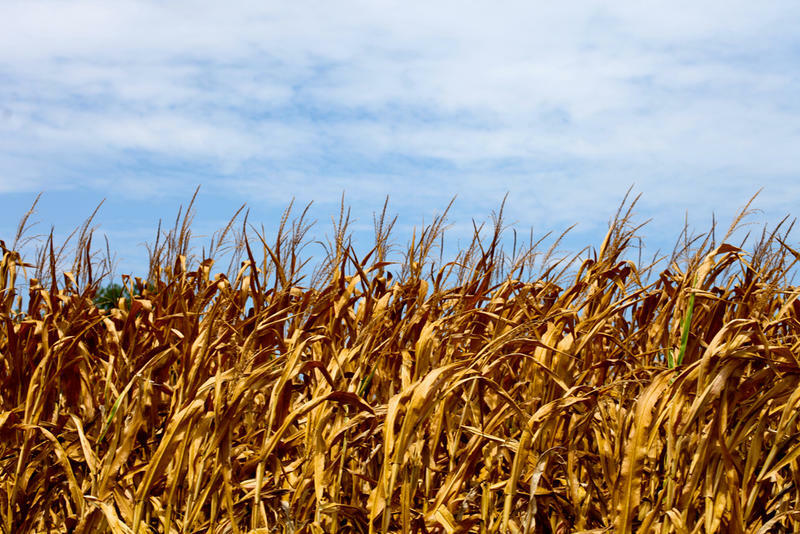 Not surprisingly, the report revealed that corn and soy production took a beating last year due to the drought that is still ravaging farms all over the Midwest. In recent months, a fairly severe drought and a slowly recovering economy have thrown food businesses for a loop. Coming up we’ll listen in on a conversation Abbie Fentress Swanson had with President Barack Obama’s top agriculture guy about the looming dip in corn exports. But first, some businesses have been able to weather the storm better than others. Jennifer Davidson has this report about one successful shop in West Plains. Now, things aren’t so peachy for everyone in the food industry. Clearly. The U.S. Department of Agriculture’s latest “Outlook for U.S. 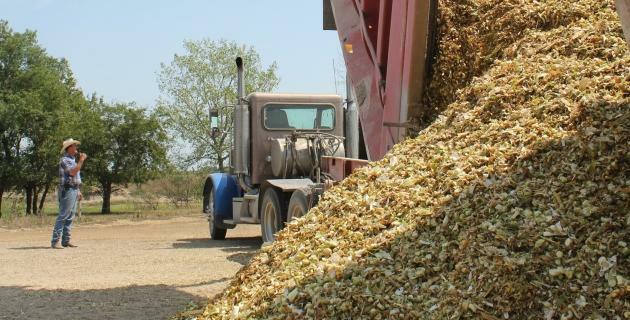 Agricultural Trade,” which was published on Nov. 29, forecasts American farm exports increasing and predicts they will come in at $145 billion in 2013. That's a 50 percent increase from 2009. Such a high export number gave me pause, since the USDA is also predicting that in the coming year U.S. corn exports will be at a 40-year low because of a domestic corn shortfall caused by the drought. The U.S. Department of Agriculture is streamlining the process for farmers to apply for government disaster help as crops in many states burn up in the widest drought in nearly 25 years. 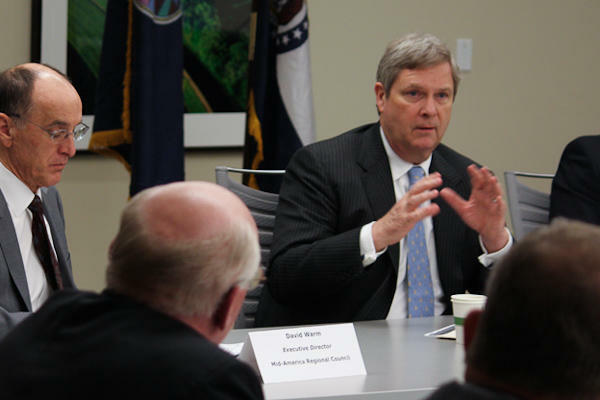 Following up on President Obama's State of the Union address last week, Agriculture Secretary Tom Vilsack is touring the country, touting his boss's job-creation efforts in rural America -- Missouri was his latest stop. 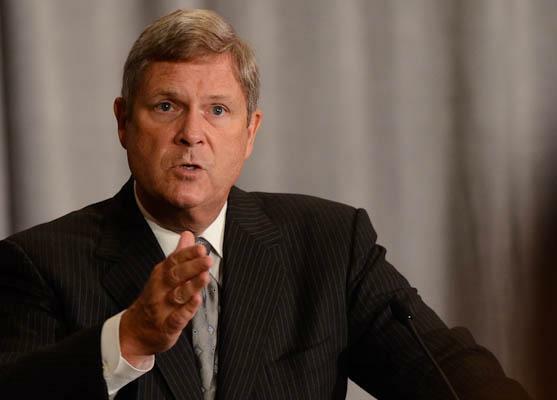 In this week's Health & Wealth update, a conversation with Secretary Vilsack: we talk rural jobs, USDA office closures, and the fate of the farmer's safety net in the face of natural disasters and shrinking budgets. 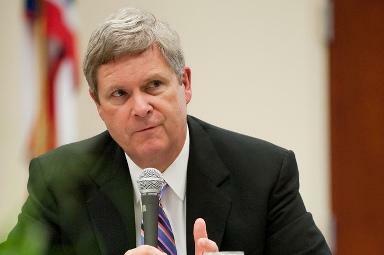 U.S. Agriculture Secretary Tom Vilsack is in Missouri touting President Obama’s job creation plans, laid out this week in his state of the union address. This comes as the agriculture department faces a shrinking budget.